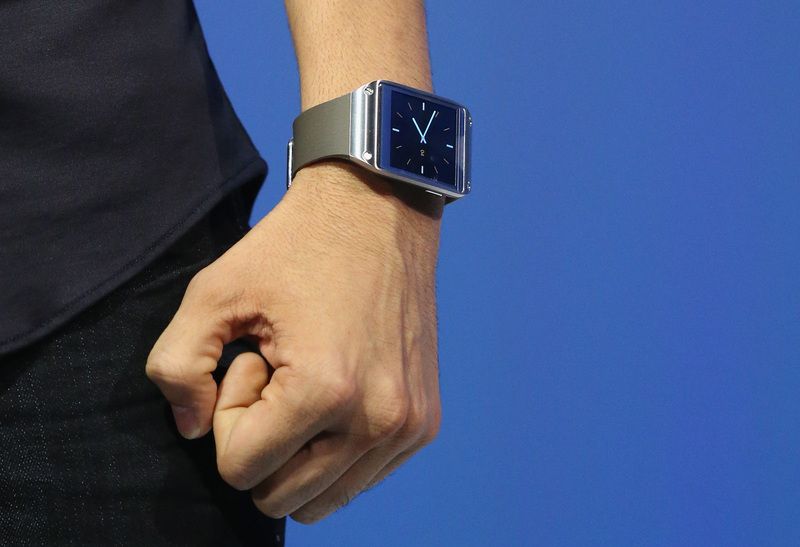 The smartwatch age looms on the horizon. While a few wrist-worn wearables have already found some success in the market, it’s the long-awaited efforts by Google and Apple that have captured the imagination. Android Wear will be at Google’s I/O conference and, according to the latest reports, Apple will launch its first smartwatch in the fall. The future of the new form factor depends on software. Skeptics still question what the “killer app” for a smartwatch could and should be; Evernote is already experimenting with its own note-taking service to find the answer. Mehers owned a calculator watch in the 1980s. In fact, he still has it sitting at home. This interest in digital watches, combined with his passion for app development, is one of the reasons why Evernote has quickly emerged as one of the best independent app makers for smartwatches and wearables. Before joining Evernote, Mehers worked for a company in Geneva. Windows Phone didn’t exist, but he felt Evernote’s client on Windows Mobile could be improved. The service had always appealed to him as a “trusted place” for all of his knowledge and information, but the app was missing some features. Eventually, Mehers’ unofficial client was completed and available for anyone to download. Not surprisingly, Evernote took notice and Phil Libin, the company’s CEO, was soon on the phone asking Mehers to join his team. Coincidentally, Microsoft had just announced its Windows Phone platform – making Mehers’ hard graft “not so relevant” anymore – but Libin wanted him to help with a new app. Mehers agreed and joined Evernote in 2010. Sitting in a small cafe on the first floor of London’s bustling Paddington station, Mehers still wears the original Pebble smartwatch with pride. He backed the company’s Kickstarter campaign in April 2012 and says he was drawn to the fact that anyone could create apps for the fledgling device. Mehers had sat down with other Evernote employees in Redwood City, California, to discuss the company’s interest in wearables. The leadership team was keen for Evernote to work in that space and Mehers, not surprisingly, was delighted to develop its first Pebble app. 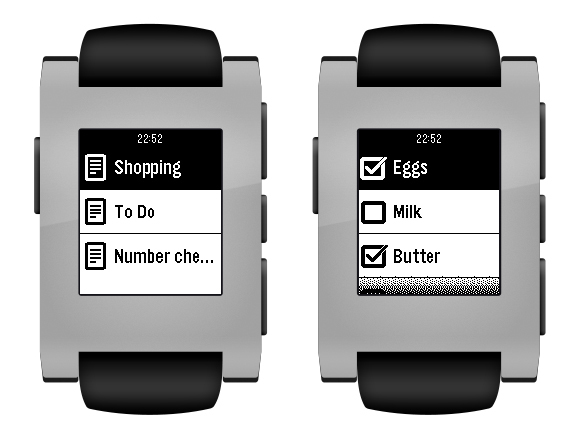 The Pebble smartwatch is clearly popular with gadget aficionados. Its successor, the premium Pebble Steel, appeals to business people and the larger mass market, but when you see either device in the wild it’s usually worn by someone who works in or follows the technology industry. Therefore, Mehers had to ensure the app would appeal to two different types of users. One is the early adopter that doesn’t mind digging through menus, pressing buttons and tweaking the user experience to match their exact preferences. The other is a more casual user who wants the device to function well and be useful with only a minimal amount of effort. This is the stuff that matters, he says. As rumors of a Google and Apple smartwatch continued to build, Samsung jumped out in front with the Galaxy Gear smartwatch. It was one of the first wrist-worn wearables from a major manufacturer and could be considered a litmus test for public demand around smartwatches. Again, Mehers was brought in by Evernote’s partnerships team to work on a new Galaxy Gear app. And once more, he was able to help the company build a wearable experience from scratch. For this particular client, Mehers worked on how users could recall important information. If you’ve looked at a note on your smartphone recently, he says, there’s a good chance that its contents are important to you. So if you stow your smartphone and then glance at your Galaxy Gear later in the day, it should be possible to see the note you last opened, or the last three or four notes you looked at, with just a couple of taps on the display. 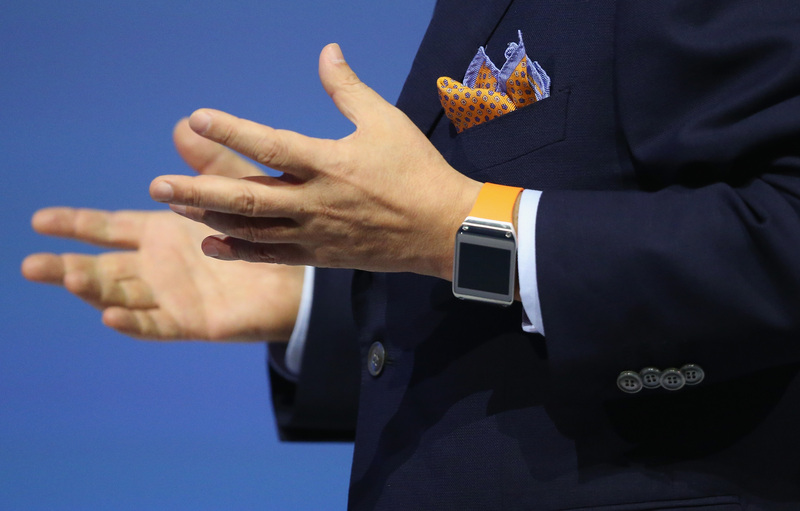 “The information that makes sense on your wrist isn’t long text,” Mehers says. “It’s a photo of the person you’re about to meet – her husband’s name, and the names of her children – that kind of stuff. It’s snippets of information – just one or two lines about the last time you met. Android Wear is the new kid on the block. Nothing is known about Apple’s long-rumored entrance to the wearable market, but Google has already shown most of its hand. Rather than push its own hardware, it seems the company is happy to let other manufacturers lead the charge. It’ll manage and develop the overall platform instead, similar to how it runs Android. If you haven’t seen the teaser videos already, I’ll quickly summarise. 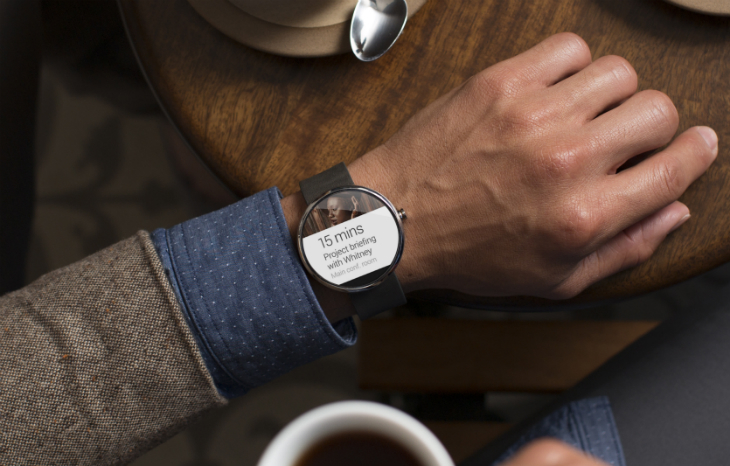 Android Wear focuses on small, glanceable notifications that can be reviewed and swiped away at a moment’s notice. Instead of jabbing at tiny icons or scrolling through menus, most common tasks are triggered with voice commands. The execution and underlying approach is similar to Google Now, the contextual assistant Google built for iOS, Android and Chrome. Following its Pebble and Galaxy Gear apps, Evernote is well-placed to shine on Android Wear. Libin has spoken in the past about Evernote “completing your thoughts” – instead of rummaging through folders or searching for specific information, the relevant note is shown automatically. The Android Wear Developer Preview is already available, but right now it seems much of the platform’s functionality will be automated. App makers can customize a small icon, add small images and some additional text, but otherwise the framework is locked down. At least for now, anyway. Google describes the Developer Preview as “just the beginning” and will launch new APIs and features in the coming months. Android Wear could also ramp up the number of people using Evernote on a daily basis. Unlike Pebble and the Galaxy Gear, the latter of which now runs Tizen, Android Wear will be found on a variety of devices. Write once and in theory, Evernote can reach a large number of smartwatch owners. Some of those customers will be diehard Evernote users, but a more lucrative group are those who have never heard of the service before. “You buy the smartwatch and think: ‘What cool things can I do with it?’ It’s something I’ve seen on Twitter: People starting to use Evernote because of the Pebble, as well as people buying the Pebble because of Evernote,” Mehers adds. The long-rumored iWatch is a story for another day. Until we have any real knowledge of the platform, it’s difficult to speculate about Evernote’s potential impact. I don’t broach the subject during our interview, although I couldn’t help but ask the question that seems to be on everybody’s lips at the moment. Is this the year when smartwatches finally hit the mainstream?